For ages vampires have lived in our lands, not without learning a thing or two about almost anything. But not many skills have interested vampires as much as tailoring, perhaps because its one of the oldest, perhaps because they like to dress in finely crafted garments. The Vampiric Tailoring Talisman grants whoever obtains it the knowledge to craft slightly magical clothing, of great taste and unique in comfort. To obtain this talisman you need to help a certain vampire tailor, who resides in the town of [SOON!]. 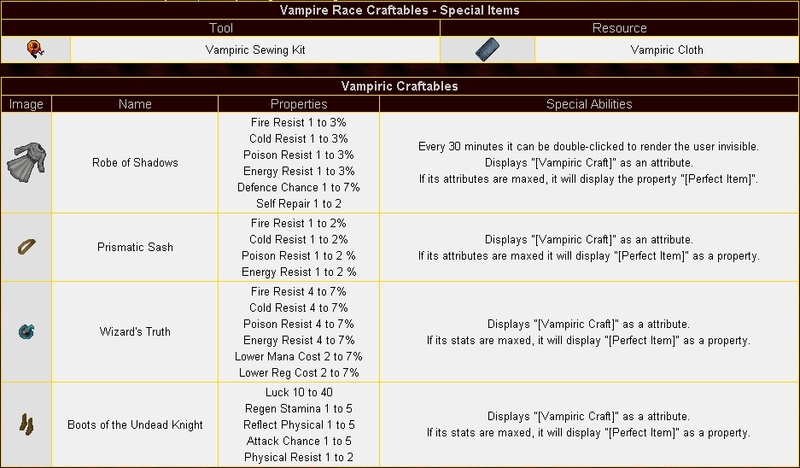 Find him, help him, and you will obtain the ability to create the magical vampire clothing.